Anusree Roy is an actor, director and playwright who completed an M.A. in Drama at the University of Toronto. She moved to Canada from India with her family when she was a teenager and went on to complete an undergraduate degree at York University in Toronto. Her play, Pyaasa, and her performance of all four characters earned her two Dora Mavor Moore Awards in 2008 in the category of independent theatre division. In 2011, Brothel #9 was the winner of the Dora Mavor Moore Award for Outstanding New Play. 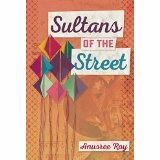 Roy’s play Sultans of the Street, about four children begging on Kolkata, India, premiered at the Young People’s Theatre in Toronto on April 28, 2014, and went on to sweep all five Dora Mavor Moore Awards 2014 in the Theatre for Young Audiences Division. Rekha, a young South Asian village woman, travels to Calcutta to take an honest job, only to discover she has been sold into a brothel. There she meets Jamuna, the jaded madam, who believes there’s no escape from the confines of their trade. Strong-willed and determined to defy fate, Rekha realizes she can shape her own destiny and discovers that compassion, faith and forgiveness are the foundation of true liberty. 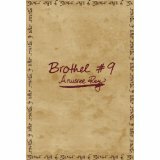 A provocative and moving examination of humanity; Brothel#9 is a testament to the infinite power and triumphant spirit within us all. Simran Singh is gifted, complex, and haunted. Her younger sister Jasmeet is the typical city-living teenager. Together with their father Dilpreet, their overprotective and traditional father, they are frantically trying to get ready for the opening of their new sari shop. But as they come closer to achieving their lifelong dream, the trauma of Simran and Jasmeet’s mother’s death reappears and the family must come together in order to move forward. Both heartfelt and tragic, Pyaasa is the story of Chaya, an eleven-year-old untouchable who dreams of nothing more than learning her times tables. But when her mother begs a woman from a higher caste to give Chaya a job at a local tea stall, her journey from childhood to adulthood occurs over ten days. In the haunting Letters to My Grandma, Malobee reads through letters detailing her grandmother’s fight to survive the 1947 partition of India, which resonates with Malobee’s own struggle to create a new life in present-day Toronto. Toronto: Playwrights Canada Press, 2016. When young orphans Mala and Chun Chun encounter brothers Prakash and Ojha on the busy streets of Calcutta, they are immediately at odds. The brothers come from a middle-class family and spend their time flying kites instead of attending class, while Mala and Chun Chun can only dream of going to school, a goal they intend to fulfill by begging for money from passersby like Aunty promises. After a petty fruit-stall heist lands Ojha in Aunty’s cunning path, the brothers are blackmailed into begging alongside Mala and Chun Chun, forcing the children to interact. Though seemingly a nuisance at first, the kids soon realize their strength in numbers as Aunty’s scheming is slowly revealed. “Anusree Roy: Letters to My Grandma.” In Refractions: Solo, ed. Donna-Michelle St. Bernard and Yvette Nolan. Toronto: Playwrights Canada Press, 2014, 50-53. Roy, Anusree. 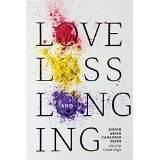 “Pyassa.” In Love, Loss, and Longing: South Asian Canadian Plays, edited by Dalbir Singh. Toronto: Playwrights Canada Press, 2015, -26. Roy, Anusree. 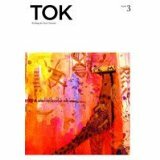 “Letters to My Grandmother.” In Tok. Book 3, edited by Helen Walsh. Toronto: Zephyr Press, 2008, 157-174. Profile from Canadian Theatre Encyclopedia web site.